Jonathan Luther “John” “Casey” Jones was born on March 14, 1863. As a boy, he lived near Cayce, Kentucky, which is where his nickname of “Cayce” came from, but he chose to spell it “Casey”. Jones went to work for the Mobile & Ohio Railroad and performed well and was promoted to brakeman on the Columbus, Kentucky to Jackson, Tennessee route, and then to fireman on the Jackson, Tennessee to Mobile, Alabama route. That caught my attention, because my grandfathers and other family members worked for the railroad too, but it was not working on the railroad that made Casey famous…at least not totally anyway. Casey always dreamed of being an engineer. 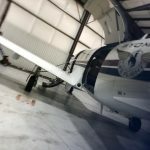 He worked hard, but did receive nine citations for rule violations, and 145 total days suspended. In the year prior to his death, Jones had not been cited for any rules infractions. His dreams came true, but not in the way he expected. In the summer 1887, a yellow fever epidemic struck many train crews on the neighboring Illinois Central Railroad, providing an unexpected opportunity for faster promotion of firemen on that line. On March 1, 1888, Jones switched to the Illinois Central Railroad, taking a freight locomotive between Jackson, Tennessee and Water Valley, Mississippi. Jones was a bit of a risk taker, but I doubt if some of the people who knew about some of his “risks” would hold that against him. 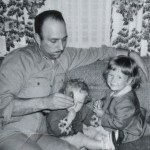 A little-known example of Jones’ heroic act saved the life of a little girl. As Jones’ train approached Michigan City, Mississippi, he had walked out on the running board to oil the relief valves. He had finished well before they arrived at the station, as planned, and was returning to the cab when he noticed a group of small children dart in front of the train some 60 yards ahead. They all cleared the rails easily except for a little girl who suddenly froze in fear at the sight of the oncoming iron horse. Jones shouted to Stevenson to reverse the train and yelled to the girl to get off the tracks in almost the same breath. Then he realize that she was frozen in fear. He raced to the tip of the cowcatcher and braced himself on it, reaching out as far as he could to pull the frightened but unharmed girl from the rails. 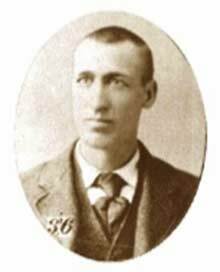 On April 30, 1900, while Casey was running the Cannonball Express, and trying to make up for a late start, it would be his heroics that would cost him his life. As Casey was coming into Vaughan, Mississippi, he did not know that three separate trains were in the station at Vaughan…double-header freight train No. 83 and long freight train No. 72 were both in the passing track to the east of the main line. As the combined length of the trains was ten cars longer than the length of the east passing track, some of the cars were stopped on the main line. The two sections of northbound local passenger train No. 26 had arrived from Canton earlier, and required a “saw by” for them to get to the “house track” west of the main line. The “saw by” maneuver required that No. 83 back up (onto the main line) to allow No. 72 to move northward and pull its overlapping cars off the main line and onto the east side track from the south switch, thus allowing the two sections of No. 26 to gain access to the west house track. The “saw by”, however, left the rear cars of No. 83 overlapping above the north switch and on the main line…right in Jones’ path. As workers prepared a second “saw by” to let Jones pass, an air hose broke on No. 72, locking its brakes and leaving the last four cars of No. 83 on the main line. 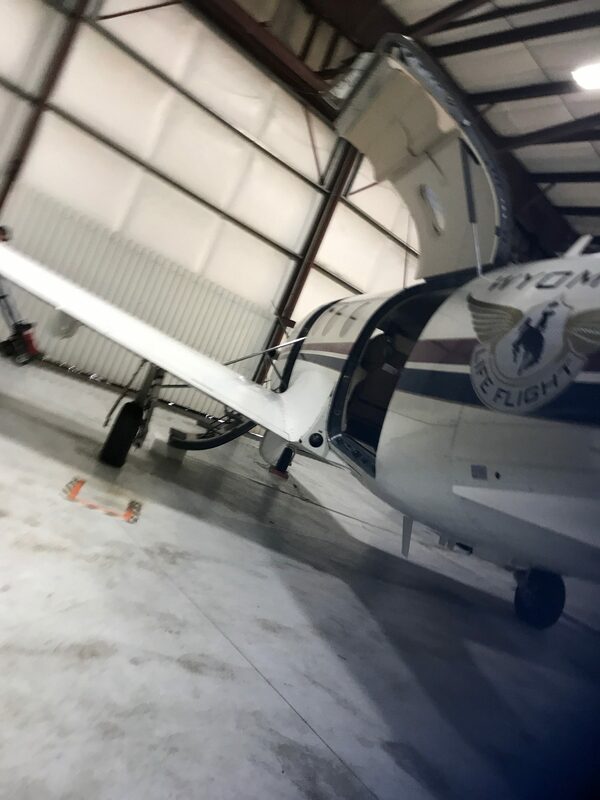 Jones was almost back on schedule, running at about 75 miles per hour toward Vaughan, and traveling through a 1.5 mile left-hand curve that blocked his view. Webb’s view from the left side of the train was better, and he was first to see the red lights of the caboose on the main line. “Oh my Lord, there’s something on the main line!” he yelled to Jones. 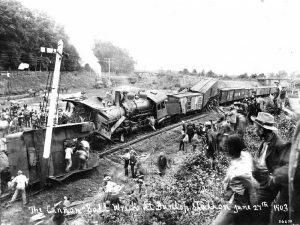 Jones quickly yelled back “Jump Sim, jump!” to Webb, who crouched down and jumped from the train, about 300 feet before impact, and knocked unconscious by his fall. The last thing Webb heard as he jumped was the long, piercing scream of the whistle as Jones warned anyone still in the freight train looming ahead. He was only two minutes behind schedule. 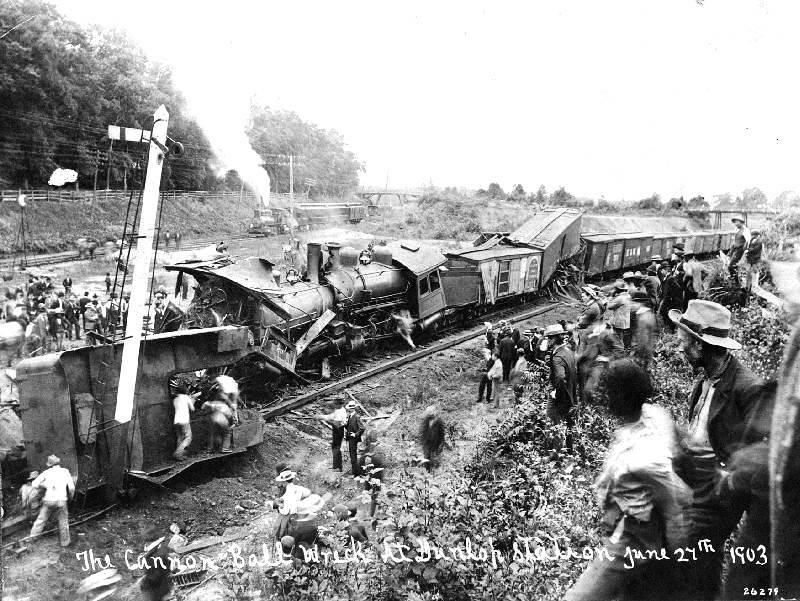 Jones reversed the throttle and slammed the airbrakes into emergency stop, but “Ole 382” quickly plowed through a wooden caboose, a car load of hay, another of corn, and halfway through a car of timber before leaving the track. He had reduced his speed from about 75 miles per hour to about 35 miles per hour when he hit. Because Jones stayed on board to slow the train, he saved the passengers from serious injury and death. He was the only fatality of the collision. His watch stopped at the time of impact…3:52 am on April 30, 1900. Legend holds that when his body was pulled from the wreckage, his hands still clutched the whistle cord and brake. 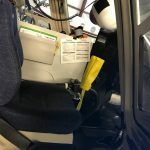 A stretcher was brought from the baggage car on No. 1, and crewmen of the other trains carried his body to the depot, a half-mile away. Sometimes in life, a person has the unique opportunity to basically go full circle. It’s not exactly like going back to your roots, because many people have done that…myself included. 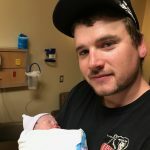 Sometimes though, as in the case with my youngest grandson, Josh Petersen and his dad, Kevin, you have the opportunity to go back to a birth event, and see it in an entirely different light. 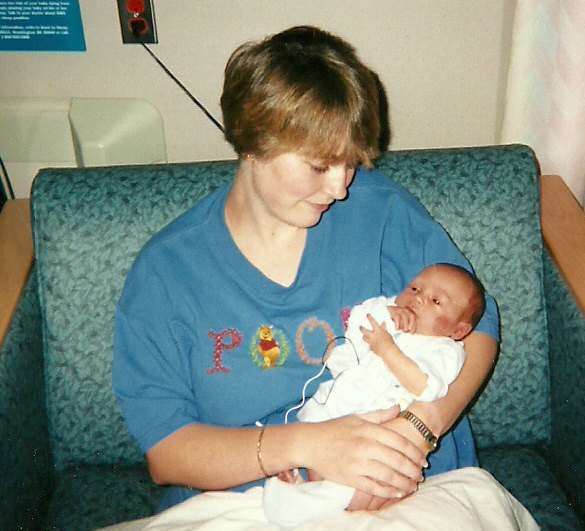 When Josh was born on September 9, 1998…five weeks early, his lungs just weren’t quite strong enough to maintain his oxygen levels without assistance. 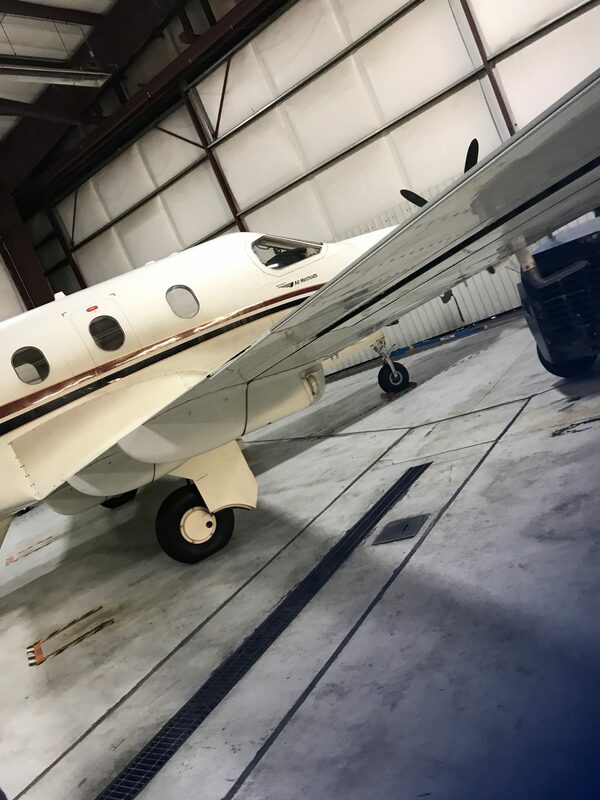 It was decided that he would be taken to Presbyterian Saint Luke’s Hospital in Denver, Colorado via Life Flight’s Learjet. 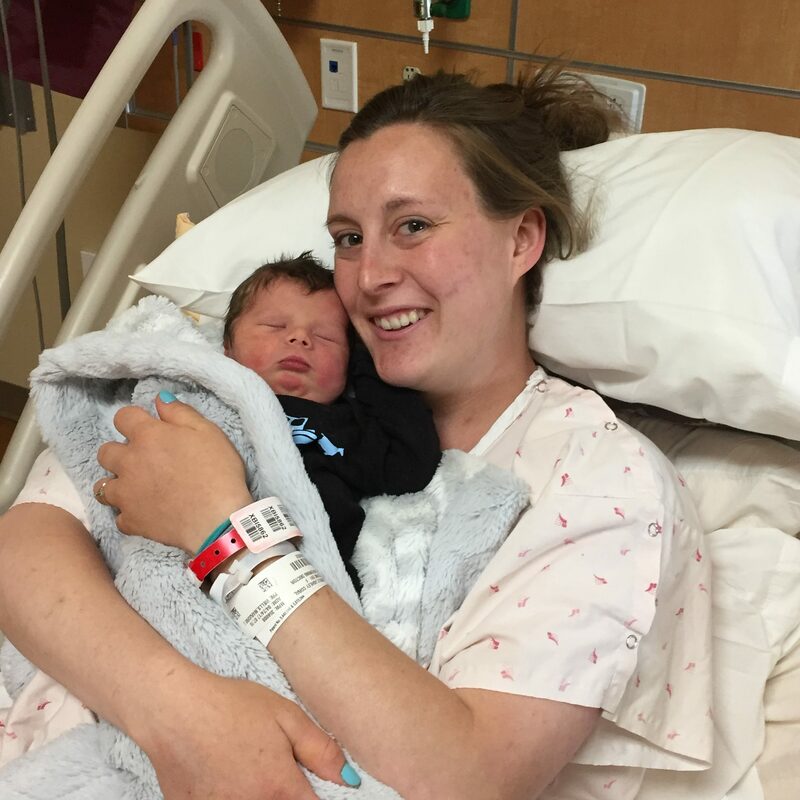 Since his mother, my daughter Corrie Petersen has just given birth, after serious attempts to stop it, the doctors felt it would be best for her to spend the night in the hospital here. 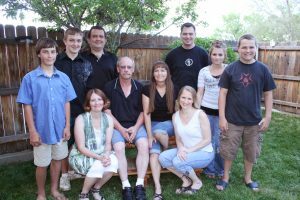 So it was decided that Kevin would fly to Denver with Josh, and my husband Bob and I would bring Corrie, and their oldest son, Chris to Denver the next day, when she was released. 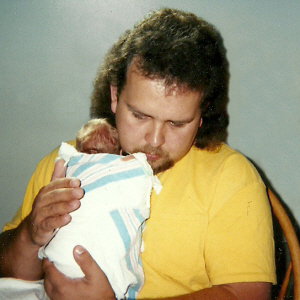 It was a traumatic event for everyone involved, especially for Chris, who was 2½ at the time. Fast forward now…eighteen years and seven months later, to the present. 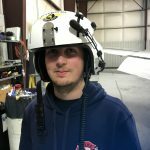 After spending two weeks in the hospital in Denver, Josh went on to become a healthy young man, who wants to be a fire fighter and EMT…small wonder. Josh has always had a helpers heart, and has assisted in caregiving for years with great grandparents. He has a gentle way, and he is meticulous in proper caregiving. 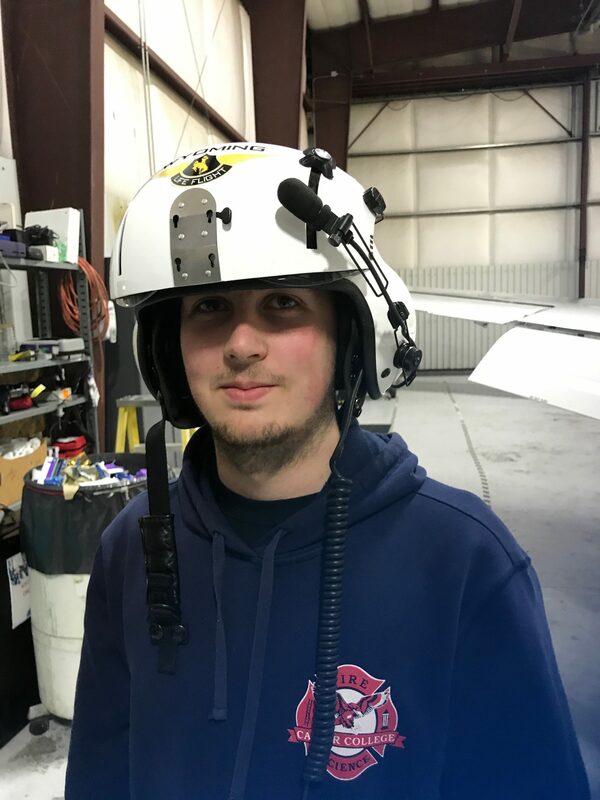 He has been taking fire fighting courses through the Boces program at his high school, and in the fall will continue working toward his degree in Fire Science. He will also be training in EMT in the very near future. A few days ago, his dad talked to a friend, Clancy, from high school, who just happens to work for Life Flight now. 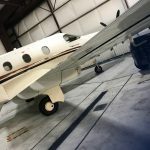 They got on the subject of Josh, and Clancy offer to give them a tour. For Josh and for Kevin, this was like going full circle…not just to the hospital or the city Josh was born in, which he still lives in, but back to the service that took them on that life saving journey to Denver. 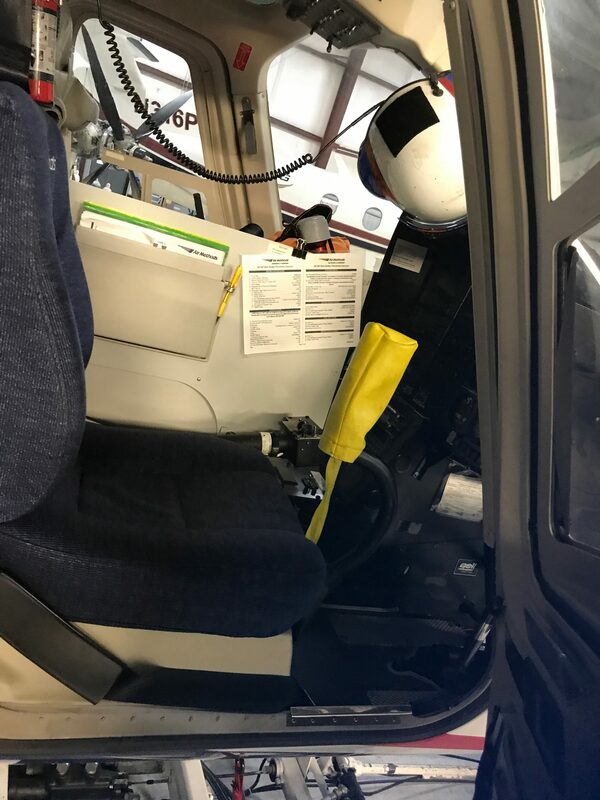 They were given a tour of both the Life Flight Helicopter and the Life Flight Learjet. I can’t say for sure that this jet was the same as the one Josh and Kevin traveled in initially, but if not it was probably exactly like that one. 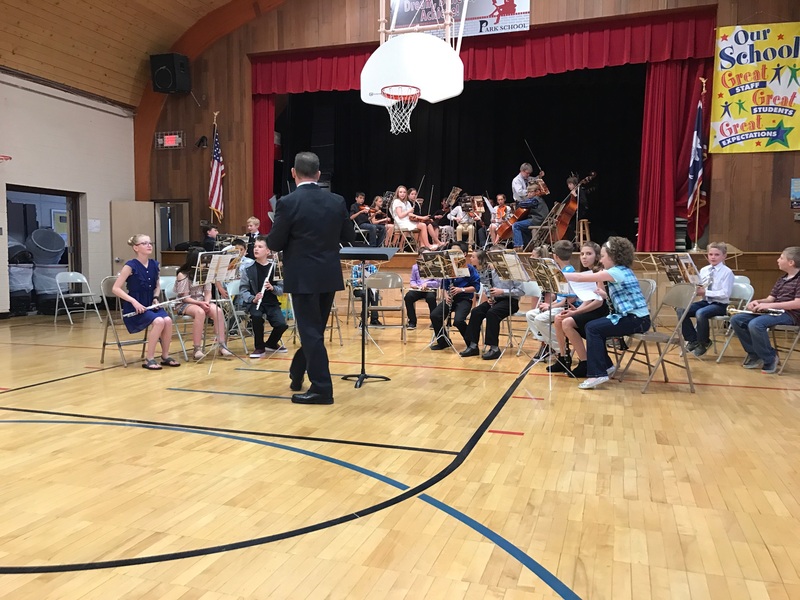 For Josh, I’m sure this was another step in his journey to his career, but since he has heard his story before, I’m sure that was in the back of his mind too. For Kevin, I wonder if there was a memory of that worried feeling in the pit of his stomach, but then I’m sure there was also a feeling of gratitude, both for saving his son’s life, and giving him such a wonderful tour. Josh…well, he was excited to be right where he wants to be. I’m sure that everyone has heard the little jokes people make to tease someone about which parent they look like…or sometimes don’t. They might say something like, “You look like the milkman.” Of course, the indication is that the mother had an affair, but sometimes such a joke can backfire on the teller of the joke. When I say this, I am speaking from experience…not as an adult, but rather as a child. 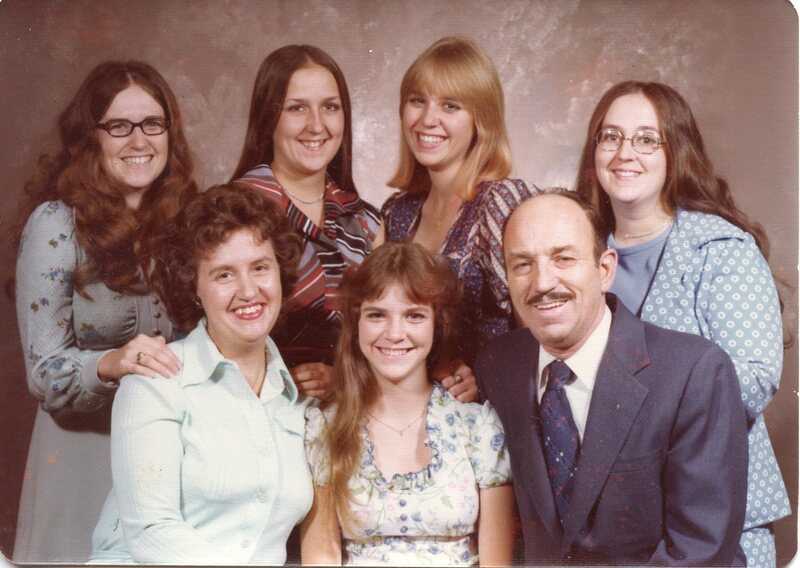 You see, my sister, Cheryl Masterson and I do look like the milk man…because the milkman was our dad. Of course our younger sisters do too, but he wasn’t a milk man when they were born. 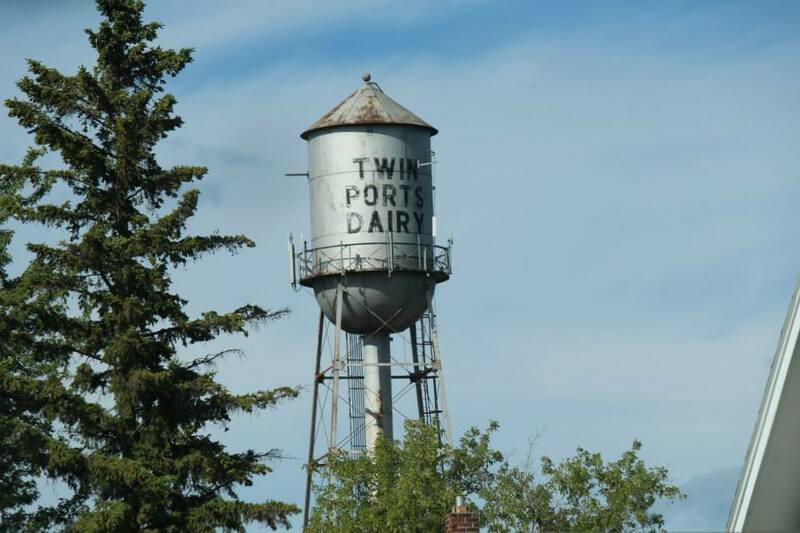 During the early years of their marriage, my dad worked for a company called Twin Ports Dairy, in Superior, Wisconsin. 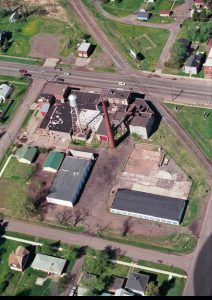 Over the remaining years of his life, my dad held various other jobs, and the one I remember the best was when he was a welder, first for Fred Dewell company, and later for WOTCO. Both of these were in Casper, Wyoming. 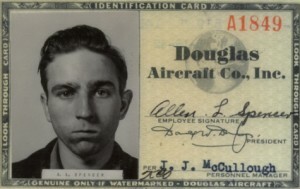 One of the ones that I found the most interesting was when he worked for Douglas Aircraft. This was before he was married, and before World War II. It was this job that qualified him to become the Flight Engineer on the B-17 Bomber. A man who worked building airplanes, would have a unique ability in that field. 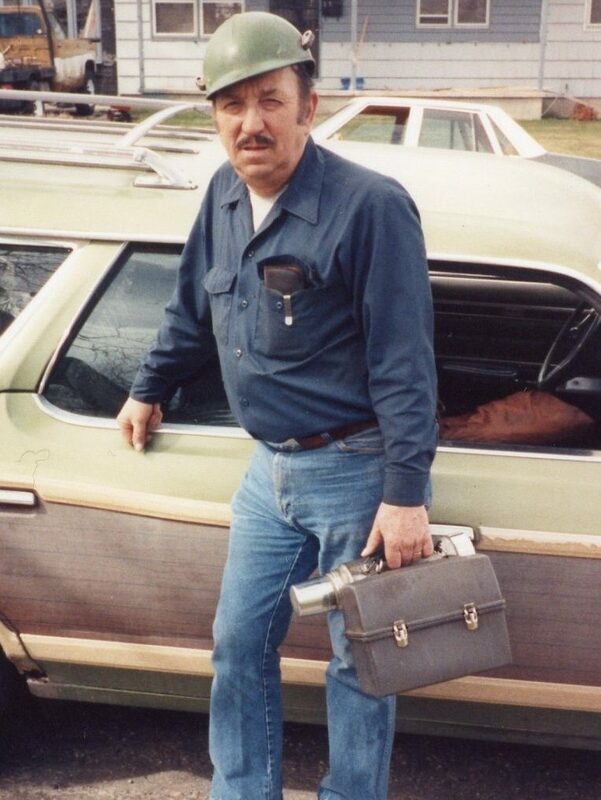 He also did work in the lumber yards and in the oil fields, prior to my parents marriage. In fact, he was working in the oil fields when he and my mother exchanged their wonderful love letters…which my sisters and I recently came across among their things. There are many parts to a man, and most men will do several types of work before settling on the one they will do for the rest of their life. My dad was no different, but in the end it would be the work that he did at the suggestion of his older brother, my Uncle Bill, that my dad would do the longest…welding. As World War II was progressing to the point of Americas necessary involvement, Uncle Bill was worried about his little brother, and he really hoped that his skill as a welder would keep my Dad on the home front, but it was his skill with airplanes that would win out in the end, and Dad would go to war…and thankfully come back home again. 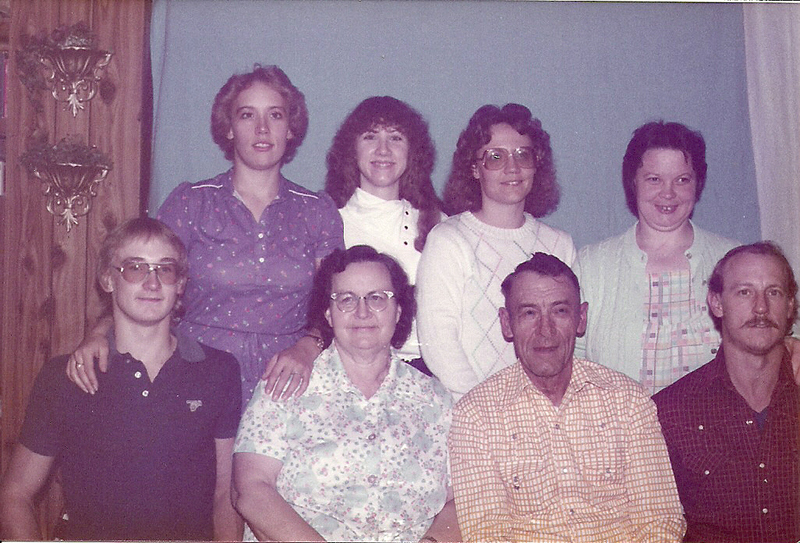 All those parts of my dad…along with his deep love of family would make him into the person we all knew and dearly loved, but I think for my mom, its possible that the Milkman job was a personal favorite. After all, it kept him close to home, and it was a safe job for her husband and the father of her children. 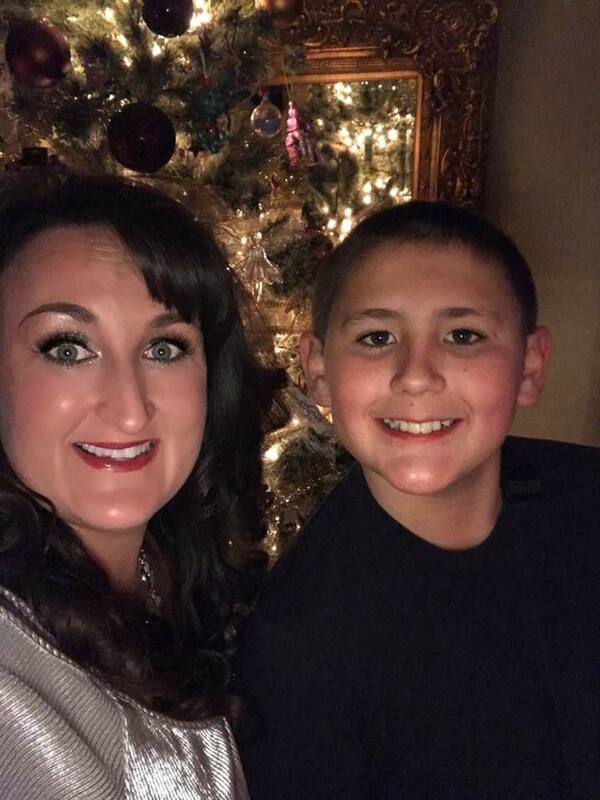 I think it was her favorite, because of all the times I have heard her talk about that one, and I can relate to the part about keeping him home, because sometimes when he had to go out of town for work in the years after we moved to Casper, I simply didn’t feel good until he came home. I don’t mean sad…I mean I felt physically ill until he came home. My sisters and I loved our daddy very much, and we wanted him to be at home. In fact, I still wish he was at home…here on Earth, instead of in Heaven, because I miss him very much. Today would have been my dad’s 93rd birthday. Happy birthday in Heaven Dad. We all love and miss you very much, and can’t wait to see you and Mom again. 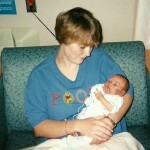 My grand nephew, Zackery Spethman is turning 12 today. 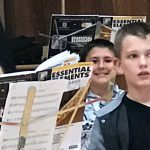 It is his last pre-teen year, and I can hardly believe how quickly the time has flown by. Zack is such a loving young man. His kind heart shows in everything he does. He helps those in need and shows kindness to everyone around him. One thing that always comes to my mind, as his great aunt, is the fact that Zack is quick to give me a hug whenever he sees me. That may seem like a little thing to most people, and even to Zack, but it is a big deal to a great aunt. Kids are often distant with the older aunts, but Zack always makes me feel loved. 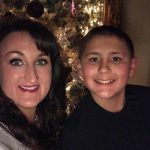 This year will be Zack’s last year in elementary school, and for his mother, my niece, Jenny Spethman, that is the really hard. The years have flown by so fast, and she can see the future going by even faster. She has tried to make sure that they attend every play, recital, and game he is involved in this year, knowing that in just a little over a month, Zack will have graduated to middle school. 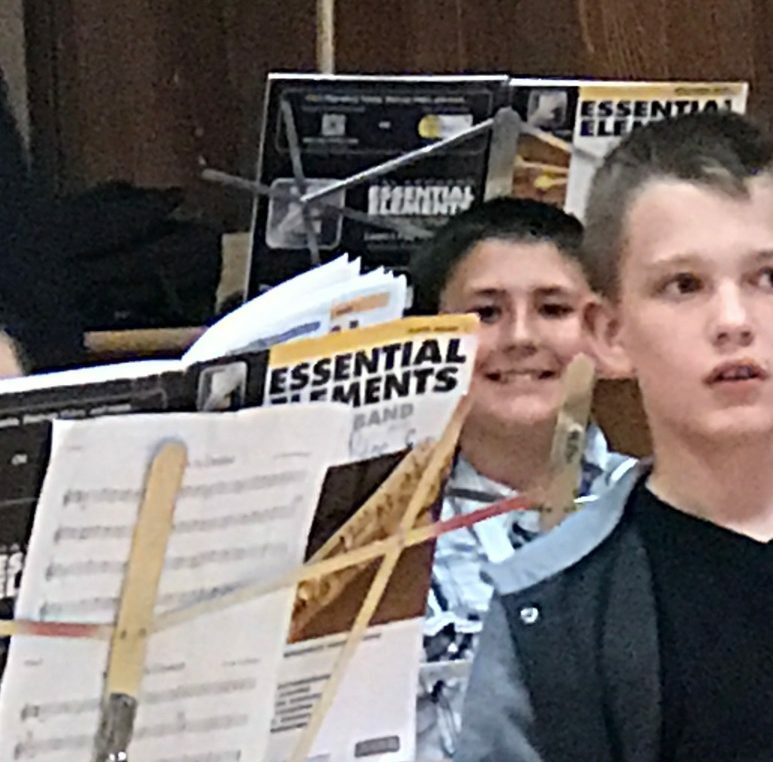 Zack plays the Saxophone in band, and really likes it. In the world of instruments, that is one of the coolest. I could never have played that one, because you have to be able to make it sound like something other than a sick duck, and I couldn’t, but Zack can, and he does it very well. 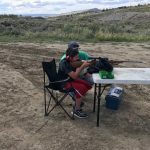 Zack’s horizons are broadening in so many ways now, and one of the most exciting ones for him is that this year he will get to go hunting with his dad and brother, Xander. 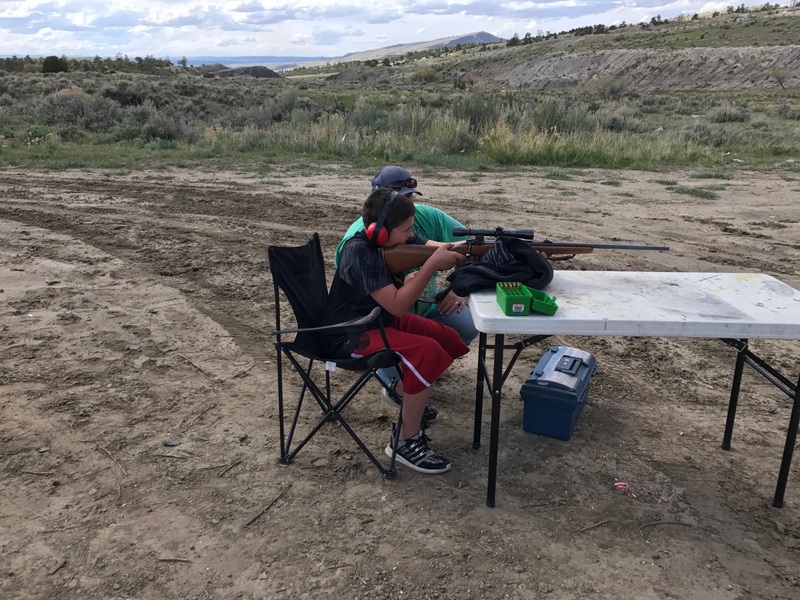 For the Spethman children, going hunting is a rite of passage. 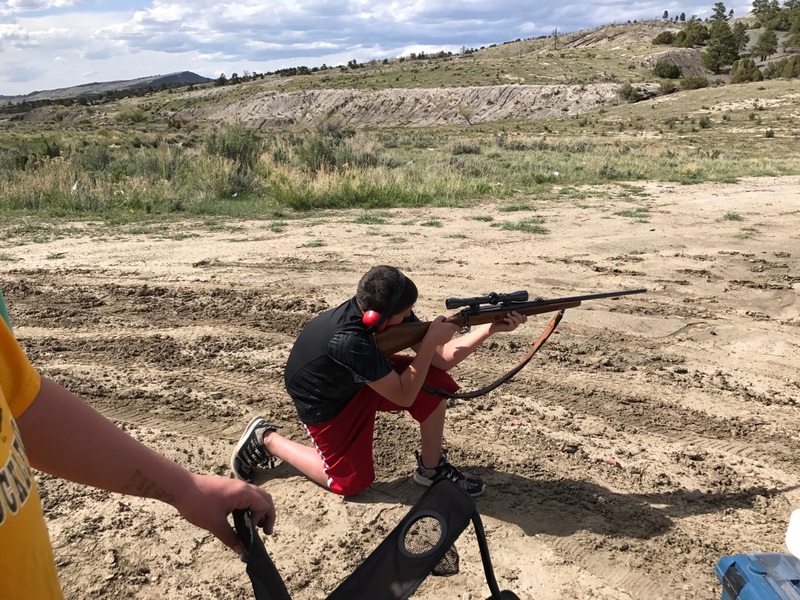 They have all learned to shoot and be responsible with guns at very young ages, and from what Zack’s dad, Steve Spethman tells me, Zack is a pretty good shot. 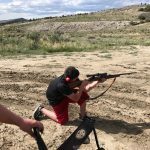 As we all know, practice makes perfect, and Zack loves to go practice shooting. I know that Zack will be a good hunter, and will feel good about being able to bring home meat for the family. That is something that makes a man feel successful, and Zack is successful at everything he does. Today is Zack’s 12th birthday. Happy birthday Zack!! Have a great day!! We love you!! 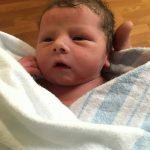 There really is no better day in a family, than when a new baby arrives. Yesterday was just such a day for my nephew, Eric Parmely, his wife Ashley, and their daughters, Reagan and Hattie. Yesterday was the day that someone new arrived. 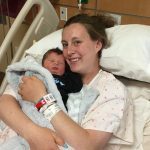 His name is Bowen Lewis Parmely, and he made his appearance three weeks early, because his doctors felt that it would be best for him. He was a big baby boy, weighing in at 8 pounds 7.5 ounces, and he was 21¼ inches long…and everything with mommy and baby Bowen is perfect…including his appetite. 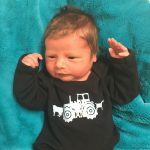 Bowen is the first son for his parents, and the first grandson for his grandparents, and everyone is just as happy as they can be. He is also the first, and maybe only brother for his two big sisters, who cant wait until he can play. As for Bowen…well, his first day was a very busy one. He was born at 8:56pm on April 24th…just when a guy should be sleeping, and they were shining bright lights in his face. Nevertheless, Bowen took it all in stride. He was handed off, first to his parents, and then to the grandparents. I’m sure he wondered how a guy could go about getting a bath around that place, but he waited patiently, and pretty soon they got him cleaned up and dressed so that he could meet his sisters…the most important people in his immediate life…after his parents that is. After all, it will be his sisters who play with him, teach him the ropes…on how to get around Mom and Dad, babysit him, and in probably, boss him around a lot. 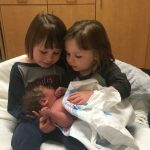 But, in all reality, while his sisters said that they wanted another sister, all that changed when they saw their brother. All thought a of a sister went out the door. Who could blame them? 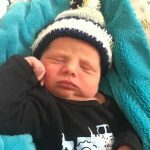 Little Bowen is a perfectly handsome little man, and the girls developed instant Brother Love!! Bowen’s grandparents, like his parents, aunts, uncles, and the rest of the family, are all floating on air, now that he has arrived. Sometimes, I wonder how nine months can seem so long. When we first found out that baby Bowen was coming, and especially when we found out that he was a boy, we were all very excited. Now that he is here, the excitement is just growing. As for little Bowen, I think he figures that the future can wait for a while, because all these visitors have completely worn him out. Congratulations to Eric and Ashley Parmely. Your son is so cute. Love you guys. Because my family has some history in England and Ireland, the history of that area holds an interest for me. Through my DNA, I have found out that much of the family I previously thought of as English, actually originated in France. Nevertheless, they spent the majority of the centuries in England and Ireland. That said, the feuds between the two nations have been as interesting to me as the Revolutionary War. I suppose that when a nation turns an area into a territory, and then that area decides to become it’s own nation, there can be a bit of an uproar…to put it mildly. The parent nation is usually very much against the independence of the child nation…for lack of a better word. It was on April 24, 1916…Easter Monday, that the Irish Republican Brotherhood, which was a secret organization of Irish nationalists led by Patrick Pearse, launched the so-called Easter Rebellion in Dublin. It was an armed uprising against British rule. The Brotherhood was assisted by militant Irish socialists under James Connolly. 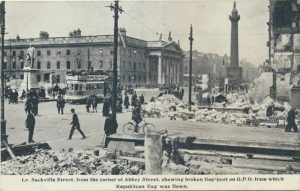 Pearse and his fellow Republicans rioted and attacked British provincial government headquarters across Dublin and seized the Irish capital’s General Post Office. After their quick initial success, they proclaimed the independence of Ireland, and by morning they controlled much of the city of Dublin. They were fighting against the repressive government of the United Kingdom that they had been under for centuries. Their hopes of freedom were dashed later the next day when the British authorities launched a counterattack. By April 29th, it was all over. The uprising had been crushed. Nevertheless, the Easter Rebellion is considered a significant marker on the road to establishing an independent Irish republic. 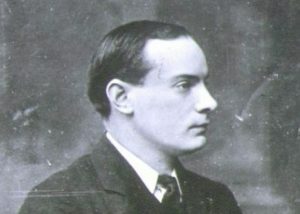 Following the uprising, Pearse and 14 other nationalist leaders were executed for their participation, but they were held up as martyrs by many in Ireland. There was a lot of anger among most Irish people for the British, who had enacted a series of harsh anti-Catholic restrictions, the Penal Laws, in the 18th century, and then let 1.5 million Irish starve during the Potato Famine of 1845-1848. 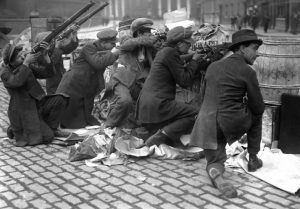 Armed protest continued after the Easter Rebellion and in 1921, 26 of Ireland’s 32 counties won independence with the declaration of the Irish Free State. The Free State became an independent republic in 1949. However, six northeastern counties of the Emerald Isle remained part of the United Kingdom. 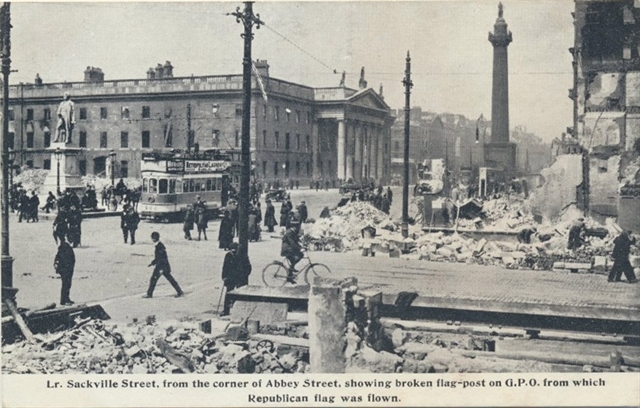 This prompted some nationalists to reorganize themselves into the Irish Republican Army (IRA) to continue their struggle for full Irish independence. In the late 1960s, spurred on in part by the United States civil rights movement, Catholics in Northern Ireland, who had long been discriminated against by British policies that favored Irish Protestants, advocated for justice. 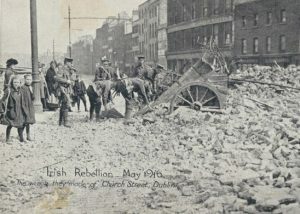 Riots broke out between Catholics and Protestants in the region and the violence escalated as the pro-Catholic IRA battled British troops. Most people have heard about this struggle over the years. An ongoing series of terrorist bombings and attacks ensued in a drawn-out conflict that came to be known as “The Troubles.” Peace talks eventually took place throughout the mid to late 1990s, but a permanent end to the violence remained elusive, until July 2005, when IRA finally announced that its members would give up all their weapons and would pursue the group’s objectives solely through peaceful means. By the fall of 2006, the Independent Monitoring Commission reported that the IRA’s military campaign to end British rule was over. 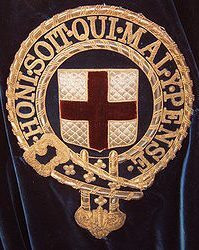 On this day, April 23, 1348, the Most Noble Order of the Garter…the first knighthood of England was founded. This knighthood is only inferior to the Victoria Cross and the George Cross. The honor is always bestowed on its winners on April 23, which is Saint George’s day. Saint George is England’s patron saint. Appointments are awarded at the Sovereign’s pleasure as a personal gift on recipients from the United Kingdom and other Commonwealth realms. 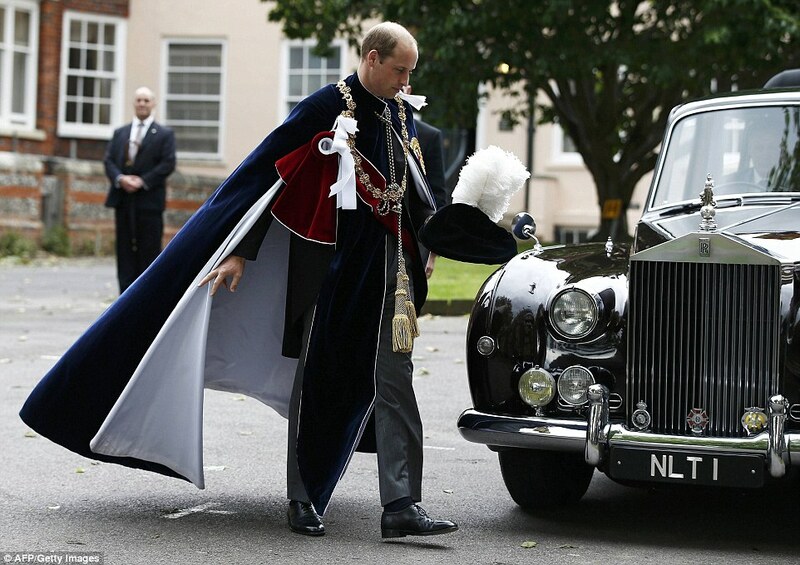 Membership of the Order is limited to the Sovereign, the Prince of Wales, and no more than 24 members, or Companions. The order also includes supernumerary knights and ladies. That made me wonder just exactly what it took to become a knight. It seems that in Medieval times, becoming a knight was something young men trained for from early childhood. Knighthood training was a long and often arduous process. It began with a basic education and good manners and rules of etiquette were taught at home. At the age of seven, young boys were sent away to the castles and homes of wealthy lords or relatives to embark on their knighthood training. From the age of seven to fourteen these young boys were given the role of a Medieval Page. From fourteen to twenty-one these ‘apprentice knights’ were referred to as Squires. The different types and styles of Knighthood training depended on the age and strength of the apprentice knights. Knighthood training was focussed on weapon practice which included enhancing skills in horsemanship, the two-handed sword, battle axe, mace, dagger and lance. Still, it was not all the training that ultimately won the squire to coveted title of knight. A squire had to prove his bravery and skill at battle. Only then, would he become a knight…at the age of twenty-one. He gained the title of knight at a “dubbing” ceremony. All this was a really big deal. 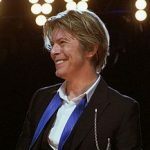 Knighthood, like all tradition has undergone changes over the centuries, and I’m sure most of us know that people like Paul McCartney, Elton John, and Mick Jagger have all been knighted. After researching the requirements of old, I wondered how these men became knights. So, I looked into it, and I came back disappointed. It seems that these men were knighted for their work in music and charity. While these are noteworthy accomplishments, it seems to me that they could find a different type of award for these feats. How can work in music and charity possibly be as award worthy as bravery and skill in battle. That would be like giving the purple heart to someone who wrote a book about someone being injured in a war. I think David Bowie must have agreed with me, because in 2003, he turned down the knighthood offered to him. He was labeled a rebel, and it was thought that he was unimpressed with nobility, but maybe he just didn’t see how he could have earned it. I would agree. My Aunt Delores Byer Johnson was always the kind of person who brought sunshine with her into a room. She loved to make people laugh, and she didn’t mind being a little bit silly if it would brighten everyone’s day. 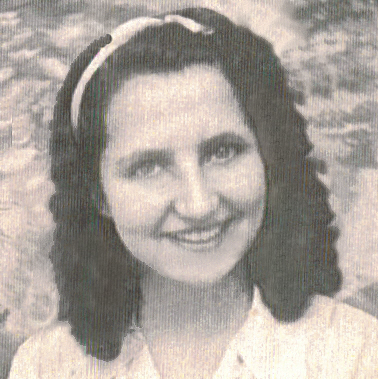 My mom, Collene Byer Spencer used to tell me about all of the inventive ideas her sister used to come up with. Mom used to tell me that with Aunt Dee is the house, there was never a dull moment. Aunt Dee might have been teaching the kids how to dance, or playing the piano she bought for the family, or teaching the kids how to fly…using a coat and the wind of course. It didn’t matter what scheme Aunt Dee had in mind, everyone knew it was going to be a lot of fun, because Aunt Dee made it fun. She had a way of doing that. 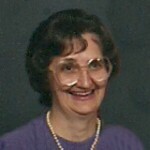 Aunt Dee has been gone now for almost 21 years, I can still hear her laughter and see her smiling face, every time I think of her. She loved life, and she had such a zest for life. I suppose that is why I miss her so much. She loved spending time with her nieces and nephews, and never made us feel unimportant. When we were with her, we were important. Family was everything to her. In many ways, I think Aunt Dee was a kid at heart, and that was what always made her so much fun to be around. I will always miss that, and I can’t wait to see her again in Heaven. Today would have been Aunt Dee’s 86th birthday. Happy birthday in Heaven Aunt Dee. We all love you very much. As Americans began to expand to the West, new territories had to be opened for settlement. Of course, this was not always met with approval from the Indian nations who were living there at the time. Nevertheless, the settling of this nation would not be stopped, and while it was handled wrong in many ways, it was inevitable. Nearly two million acres of land in Oklahoma Territory had been preciously deemed unsuitable for white settlement, and so were given to the Native Americans who had been previously removed from their traditional lands to allow for white settlement. The relocations began in 1817. By the 1880s, Indian Territory was home to a variety of tribes, including the Chickasaw, Choctaw, Cherokee, Creek, Cheyenne, Comanche, and Apache. 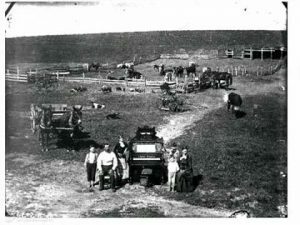 By the 1890s, with the improvements in agricultural and ranching techniques led some white Americans to realize that the Indian Territory land could be valuable, so they began to pressure the United States government to allow white settlement in the region. 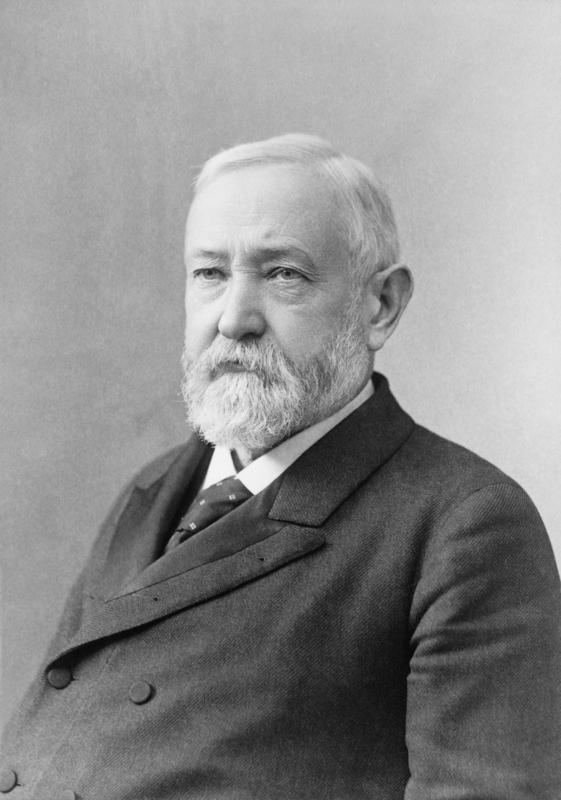 In 1889, President Benjamin Harrison agreed, making the first of a long series of authorizations that eventually removed most of Indian Territory from Indian control. To begin the process of white settlement, President Harrison chose to open a 1.9 million acre section of Indian Territory that the government had never assigned to any specific tribe. I suppose it was a way to ease into it without taking land from any specific tribe…initially anyway. However, subsequent openings of sections that were designated to specific tribes were achieved primarily through the Dawes Severalty Act of 1887, which allowed whites to settle large swaths of land that had previously been designated to specific Indian tribes. 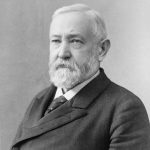 On March 3, 1889, Harrison announced the government would open the 1.9 million-acre tract of Indian Territory for settlement precisely at noon on April 22, 1889. Anyone could join the race for the land, but no one was supposed to jump the gun. With only seven weeks to prepare, the land-hungry Americans quickly began to gather around the borders of the irregular rectangle of territory. They were referred to as “Boomers,” and by the appointed day more than 50,000 hopefuls were living in tent cities on all four sides of the territory. At precisely high noon, thousands of would-be settlers make a mad dash into the newly opened Oklahoma Territory to claim cheap land. I can only imagine the chaos. The events that day at Fort Reno on the western border were typical of the entire process. At 11:50am, soldiers called for everyone to form a line. When the hands of the clock reached noon, the cannon of the fort boomed, and the soldiers signaled the settlers to start. 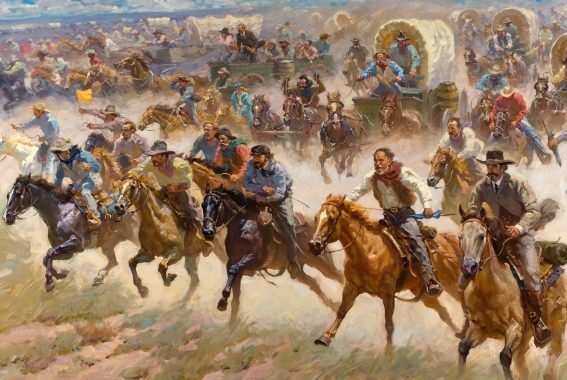 With the crack of hundreds of whips, thousands of Boomers streamed into the territory in wagons, on horseback, and on foot. All told, from 50,000 to 60,000 settlers entered the territory that day. By nightfall, they had staked thousands of claims either on town lots or quarter section farm plots. Towns like Norman, Oklahoma City, Kingfisher, and Guthrie sprang into being almost overnight. An extraordinary display of both the pioneer spirit and the American lust for land, the first Oklahoma land rush was also plagued by greed and fraud. Cases involving “Sooners,” who were people who had entered the territory before the legal date and time overloaded courts for years to come. I’m sure that the Indians weren’t pleased either, and I would imagine that there was periodic trouble over the whole process too. The government attempted to improve the operations of subsequent runs by adding more controls, finally adopting a lottery system to designate claims. By 1905, white Americans owned most of the land in Indian Territory. Two years later, the area once known as Indian Territory entered the Union as a part of the new state of Oklahoma.